Sale Sharks succumbed to the dead-eye boot of Benoit Paillaugue in the European Challenge Cup quarter-finals as the scrum-half took Montpellier to a 25-19 triumph at the AJ Bell Stadium. Danny Cipriani opened his account with a penalty before the Top 14 outfit scored 10 unanswered points through Paul Willemse's try and the accuracy of Paillaugue. 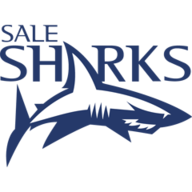 Against a physically superior side, Sale did outstandingly well to remain in contention and they found themselves 11-10 ahead by the interval via Tom Brady's touchdown and Cipriani's second three-pointer. However, the visitors took command after the break. Despite the Sharks' England pivot kicking his third from the tee, Paillaugue's five second-half penalties gave Montpellier the victory. Sam James did cross the whitewash for the hosts, but it was too late for them to mount a comeback. French teams have regularly failed to take the Challenge Cup seriously, but that accusation could not be levelled at Montpellier. Head coach Jake White named a strong line-up, which included three South African internationals, and they started with intent to physically overwhelm the hosts. The Du Plessis brothers, Bismarck and Jannie, began in the front-row and they set out with the objective of going directly through the heart of the Sharks' rearguard. To their credit, Sale initially withstood their sheer power and were on top in the opening exchanges. They duly won a penalty after the visitors infringed at the breakdown and Cipriani was on target from the tee to take Steve Diamond's men into the lead. However, the Top 14 side soon got into their stride. They were very much in the mould of a typical Springbok team, looking to dominate the collisions and gain ground through their athletic and powerful forwards, and their first score came via that route. Following a succession of phases which moved them into the Manchester outfit's 22, Willemse eventually touched down from close range. Paillaugue added the extras and then kicked a penalty as Montpellier opened up a seven-point buffer before the Sharks responded. Poor kicking by the French club allowed the hosts to set up a promising position and good hands from Cipriani and Mike Haley sent Brady over. That try evidently rejuvenated Sale and, with Andrei Ostrikov and TJ Ioane in impressive form, they managed to win another penalty which their stand-off converted for an 11-10 half-time advantage. Inspired by the Cipriani, they took that momentum into the early part of the second period, but crucial mistakes prevented them from adding to their lead. 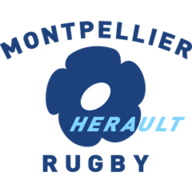 Instead, Montpellier managed to get back in front after a collapsed scrum was ruled in their favour and Paillaugue was once again on target from the tee. White's men were now beginning to truly take control of the forward battle and their scrum-half kicked his third three-pointer of the evening as they moved 16-11 ahead. The away team appeared comfortable, particularly in defence, but the Sharks kept probing and created the odd half-chance. It eventually led to a yellow card for Montpellier's Thibaut Privat following a Cameron Neild break and Cipriani reduced the arrears to two points. However, the experienced visitors were excellent during the sin-bin period and Paillaugue scored three successive penalties - the second after Neil Briggs had been yellow carded - which effectively took them to a deserved win. James' superb individual try gave Sale hope, but Montpellier held on.